Global Enterprise, and ARD and La Fonderie partnered to organize the third European Coworking Conference. This year’s edition will take place in Paris, on November 8th, 9th and 10th 2012. After the successes of the Coworking Europe 2010 (Brussels, with The Hub Brussels) and of the Coworking Europe 2011 (Berlin, with Club Office and Betahaus), the organisers expect 300 attendees, for Coworking Europe 2012, originating from more than 30 different countries. Coworking Europe 2012 will bring together European and global coworking space managers, entrepreneurship activists, nomad and innovation experts, collaboration gurus, as well as representatives from the public and of the corporate sector. On the menu : exciting Coworking stories, lots of best practices sharings, a broad envisioning of the future of work in a more creative and sustainable economy. Global Enterprise analyse the new trends impacting modern economy dynamics: creativity, networks, collaboration, entrepreneurship, values, innovation… are some of the major topics we are covering every day. Based in Brussels, Belgium, Global Enterprise provides with strategic consultancy services, as well as facilitation, project management and networking services. 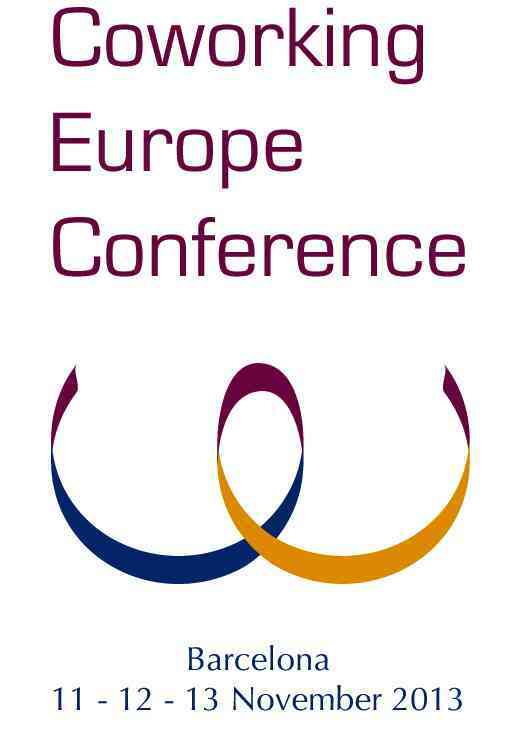 Global Enterprise is the initiator and the organiser of the Coworking Europe conferences, organised since 2010. The Paris Region Economic Development Agency (ARD) was set up to match businesses’ needs and the regional offer. ARD has five key remits set out by the regional council: promote the economic attractiveness of the region abroad, attract foreign investors to Paris Region, coordinate the marketing of the regional offer, help investors prior to and during their location to Paris Region and support areas facing economic changes. Associated body of the Ile-de-France Regional Council, La fonderie (former ARTESI Ile-de-France) is the regional ICT development agency. Its main objective is to support the Regional Council in forecasting, implementing and evaluating ICT regional policies. La fonderie acts as a catalyst for a wide range of targets, including SMEs, non-profit associations and public local authorities in their appropriation process of ICT. The concept is simple : professionals from different working areas, independent workers, nomad workers and entrepreneurs find themselves in the same physical space to work on their own projects. They don’t only seek to break with their isolation and to find an alternative solution to their home office or to the company office they are used to work from; But also to belong to a community of individuals who are open to exchange ideas, and eventually, who are ready to collaborate. As of early 2012, more than 400 coworking spaces are in operation in Europe. In less than 5 years, the total of coworking spaces has overtook, for instance, the total of incubators and innovation centers operating in Europe. Likewise, Coworking spaces are sprouting everywhere on the planet. The number of coworking spaces worldwide is almost doubling every year, getting close to 1.500 globally. The coworking concept, is not limited to the sharing of a facility. It’s based on the emergence of a new type of interpersonal relationships and on the development of exchange communities, with people sharing values of openness, collaboration and readiness for change. Nowadays, Coworking spaces are reflective of the emergence of new models and new expectations in the business world and in the society in general. The movement represents a wide variety of styles. It reaches out and is expanding to new audiences. All over Europe, public institutions and companies are starting to consider Coworking as a source of inspiration in order to implement new working, innovation and collaboration approaches. As of today, coworking spaces host thousands of entrepreneurs, independents and nomad workers already. They will soon host tens or hundreds of thousands them. Coworking paves the way for tectonic changes in our modern economies. As in the two previous Coworking Europe conferences, the 2012’s edition aims to address openly all the topics related to the coworking model. The conference will also be a exceptional opportunity to share best practices, connect and, why not, build up and collaborate on new exciting projects.